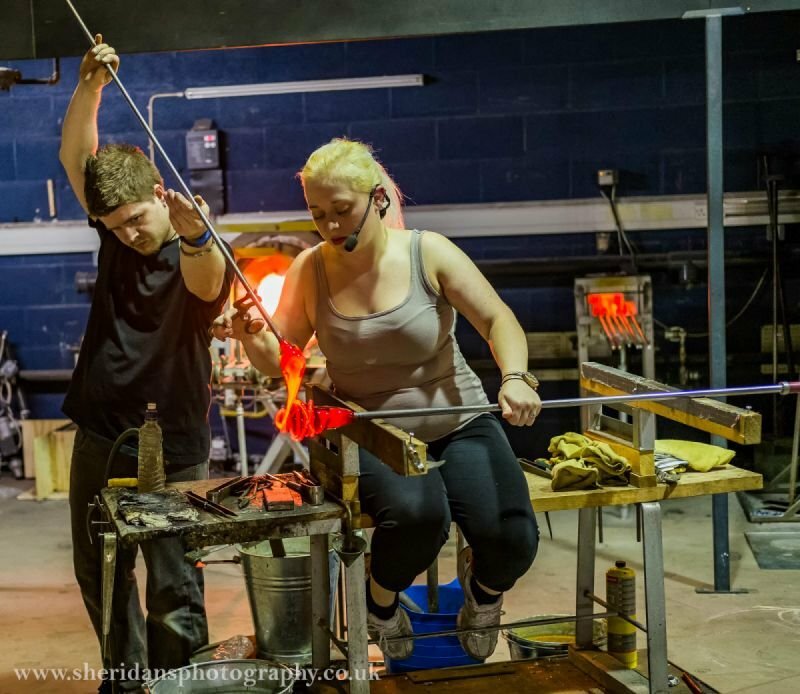 The One-to-One session is open to beginners to glassblowing but, as it is designed around the individual, it can be completely tailored to the participant’s interests and level of ability. With our guidance, we will teach you to manipulate, shape and blow the glass with a number of different colouring and patterning techniques which will assist you in to creating a number of vessel forms. However, if you are less interested in developing a breadth of skills and would prefer to focus on a particular aspect or trend we can accommodate this as well. With this session, you will have the undivided attention of one of our glassblowers to either help you work through a project of your own design or simply to try to absorb as much technique as possible. All health and safety equipment will be provided for you and all the items you make are yours to keep once they have had sufficient time to cool down properly overnight. Family and friends are welcome to observe. Gift vouchers can be purchased from our online shop and for particular dates please contact us by email on charlie@emglass.co.uk or amy@emglass.co.uk. For places to stay near us click here or contact us for information on local private lets.